It’s pretty amazing when you witness the physical feats that sports stars accomplish, but even more so when you realize they’ve passed those genes on to their kids. Here are nine of the greatest father-son figures in sports history. Patriarch Archie Manning was a quarterback for the New Orleans Saints, the Houston Oilers and the Minnesota Vikings. Son Peyton spent most of his QB career with the Indianapolis Colts and the last four years of it with the Denver Broncos. He’s a two-time Super Bowl winner. 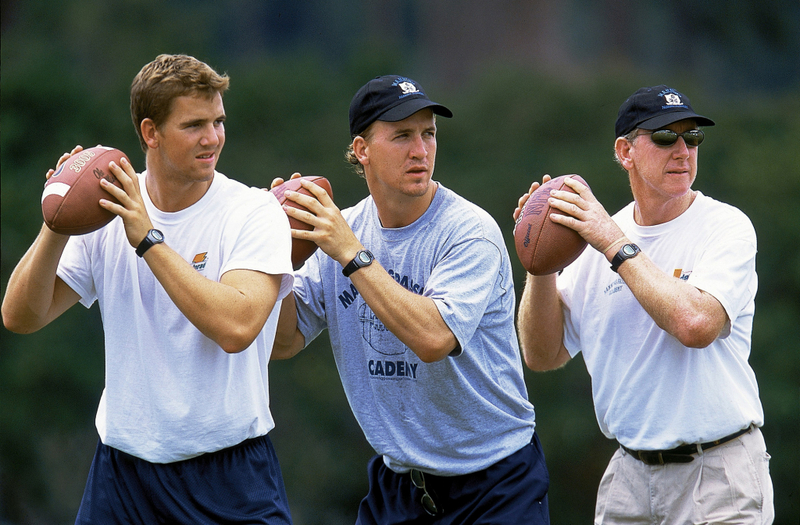 Youngest son Eli has played QB for the San Diego Chargers and the New York Giants and has also won two Super Bowls. Howie Long spent 13 years as a defensive end for the Oakland Raiders and was inducted into the Pro Football Hall of Fame. Post football, Howie has been in TV commercials and is a studio analyst for Fox News. His son Chris was a defensive end for the St. Louis Rams, the New England Patriots (where he won a Super Bowl) and the Philadelphia Eagles. Brother Kyle is a guard for the Chicago Bears. This father and son actually played on the same team (the Seattle Mariners) and hit back-to-back home runs – the only father and son to ever do so. Ken Sr. was a left-handed batter who played outfield for the Cincinnati Red, the New York Yankees, the Atlanta Braves and the Seattle Mariners and was a two-time World Series champ. Ken Jr. was also a left-handed batter who played center field for the Reds, the Chicago White Sox and the Seattle Mariners; batting 630 home runs, the sixth highest in MLB history.